Last year, 2012, we asked you to name your favourite town on the Costa Blanca or Costa Calida. The clear favouite was Cartagena, a beautiful and historic city and naval port in Murcia. If you've never been there it's worth a visit! In joi...nt second place came Torrevieja, Benidorm and the town of Orihuela Costa (La Zenia, Cabo Roig, Playa Flamenca etc). This year we are splitting the vote into towns north of Alicante and those south of Alicante and you can vote on both. So from the map below name your favourite town north of Alicante. Free Personal Consultation. Come & meet us & ask us everything you have always wanted to ask about owning a house on the Costa Blanca or Costa Calida. Buying for holidays, investment or re-location, we are here to help. 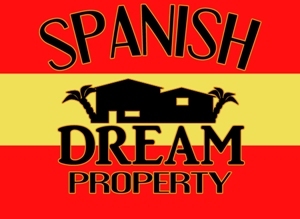 Book your free consultation by emaling info@spanishdreamproperty.com or text SDP with your name to 07889 362950 and we will get back to you or call 01603 415296. Q. Is it best to buy a bank repossesion? A. Frankly, in most cases, NO! The exception being that if you need a 100% mortgage there are a few bank repos that have them. However we do have bank repos on our site that are worth considering. Most repossesed properties never make it to the open market. The good ones are sold by the banks to their known list of investors or purchased by bank staff. ... The ones left are the ones that are less in demand due to location or condition or the fact that the amount the bank needs to sell it for is higher than the current market value. Re-sales are often furnished, are open to offers and have been in regular use so everything is working. Bank properties have no furniture, are generally a fixed price and may have been empty for two or more years, leading to problems of dried-out pipes etc. Remember in Spain the debts relating to the property are passed on at sale to the new owner, so be very careful that you do not sign the papers until you are 100% sure the bank have settled all outstanding bills! If you live within travelling distance of Guardamar and would like to explore it further why not take a ride with Guardamar's tourist train.The tour includes La Senda de la historia, the castle, the archaeological site of La Fonteta and remains of the Phoenician city harbour. The tour price is 6€ for adults and 3€ for children aged to 12. A guide is available in English on Fridays and the ticket includes free admission to the Municipal Archeological Museum. Q. Why should I use a Spanish solicitor, surely I can save money by doing it myself? A. Unless you are a fluent Spanish speaker and reader, and well versed in Spanish property law and conveyancing, don't even think about not using a solicitor! Use an independent, bi-lingual and recommended one. Ensure everything you sign is in both Spanish and your own mother tongue, (verified translation). As regional laws and taxes vary use a solicitor that regularly does conveyancing in your chosen area.